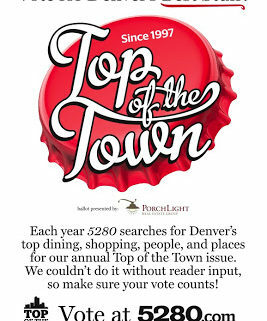 Place your Vote: 5280’s Top of the Town! 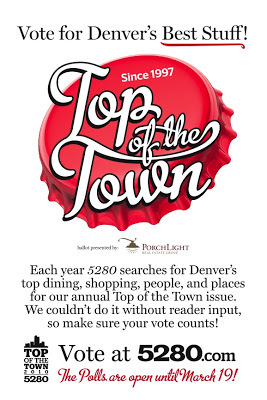 5280’s Top of the Town voting is underway! There are so many local businesses that need your support, so take the time to check out the ballot and fill in your favorite spots for food, diversions, services, shopping and people. Where are your favorite places to go? We’d love to hear. But more importantly, 5280 would love to have your input. Please take the time to take a gander and let your voice be heard. https://www.staskoagency.com/wp-content/uploads/2016/12/e2817-2010_4x6_tottpostcard.jpg 400 267 Stasko Agency https://www.staskoagency.com/wp-content/uploads/2018/03/stasko-logo-dark-sm.png Stasko Agency2010-02-08 16:32:002018-03-07 06:49:12Place your Vote: 5280's Top of the Town!